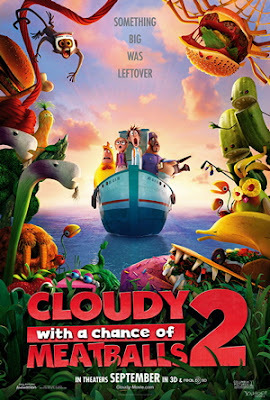 I had won 2 reserved passes to Cloudy With a Chance of Meatball 2 for this Saturday at AMC Lincoln Square 10:00 AM through a radio station and cannot make it. Thus I am giving it away to one lucky follower. 1) Follow this site by e-mail. 2) Like our page on Facebook: www.facebook.com/geekwithmak. 3) Comment below, if food fell from the sky, what you would wish for and would you actually eat it! Winner will be announced and contacted September 20th, 2013 10:00 AM. Good Luck. One entry per household. Congrats to my winners CINDY GISELLE ROSARIO and AMY WONG. 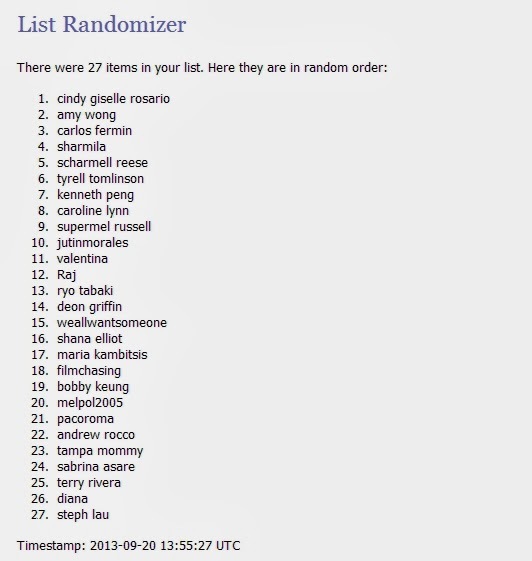 They each win 2 passes each. Look for my Baggage Claim reserve passes contest soon!